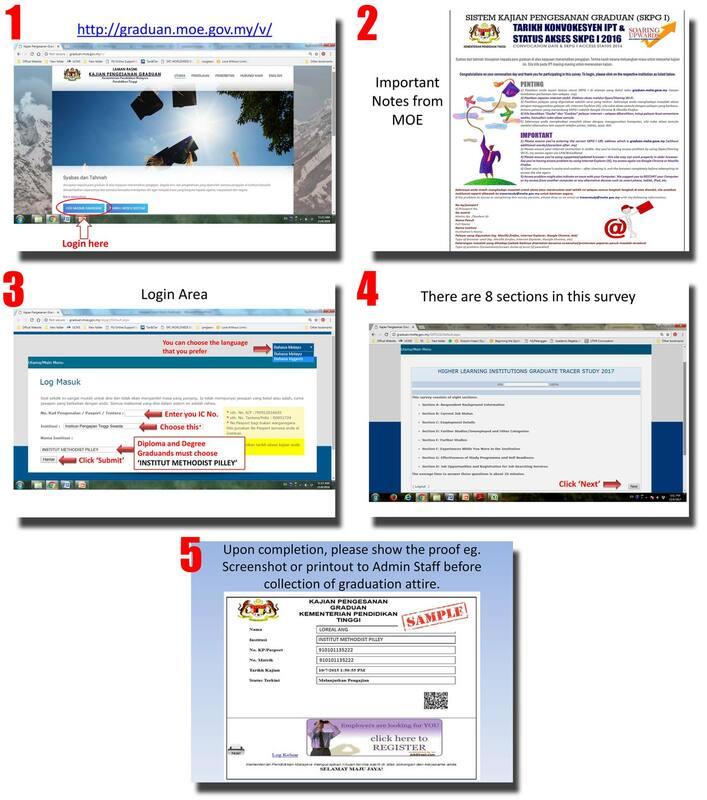 As required by the Ministry of Education (MoE), all graduands must complete the tracer study survey at http://graduan.moe.gov.my/v/. The systems will be open from 21 Aug 2018 onwards. You may choose English or BM for the survey. Please show the proof of completion eg. screenshot or printout before the collection of graduation attire. The following slides are for your reference and guidance.